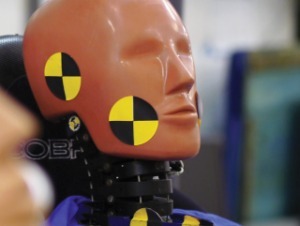 UK businesses are being left exposed by a lack of road safety policy, new research has revealed. The study by TomTom Telematics of UK companies whose employees drive for work purposes found more than a fifth (21%) have no road safety policy in place while a further 4% didn’t actually know whether their organisation had a defined policy. Yet 60% said staff members had been involved in road traffic accidents while on business duty, with 78% claiming this resulted in lost productivity due to injury or time off work. And the analysis of senior managers at 400 UK businesses also found only 64% have processes in place to profile the risk posed by individual drivers, based on factors such as driving behaviour or previous convictions. Less than three-fifths (57%) of companies provide driving training and of those that do, 38% provide it once every six months or less. Just over half of all businesses (53%) provide drivers with technological tools or driver aids to help them drive more safely. To read our feature on ‘Six Steps to Better Risk Management’, click here.